Key difference: The key difference between poetry and prose is their structured from of writing, wherein poetry is considered to be structured and prose is more natural form of writing. In linguistics, poetry and prose are two ways of classifying the different styles of writings. Here, prose is language that aims at sharing information, while poetry aims at using the language itself as music. Often, there are times that poetry and prose overlap each other, and are considered similar to each other. 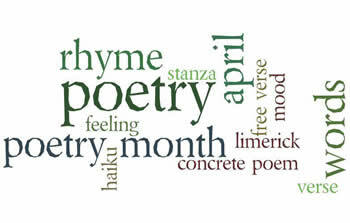 Poetry is a literary composition that aims to excite the reader through a series of words in rhythm. 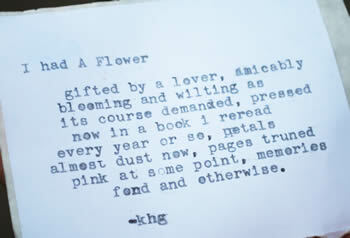 Poetry is an art in itself. It is the imagination and expression of the authors though in a sophisticated manner. It is either written or spoken orally in a structured way i.e. it is metrical in nature. Also, ‘a poem’ or ‘poetry’ displays a sense of pattern that connects the words to each other through their similar sounds or their individual meanings. The words are not mere ornaments, but help in conveying the meaning of the composition. And, the representation of poetry in lines helps to easily distinguish the entire poem. Prose, on the other hand, is quite ordinary. It is considered the most typical form of language, and does not necessarily require a formal pattern or verse. There is no form of rhythm, balance or repetition in a prose, but it is guided by a sustained formal arrangement. A prose is a large unit of sentences, and is represented in lines without breaks. Thus, prose writing is popularly used in newspapers, articles, magazines, etc. Prose is similar to poetry but there is no structured and metered quality in the former. Also, prose is often considered as dull, simple and common, as compared to the expressive and beautiful poetry. It is straight-forward and disorganized as compared to a rhythmic poetry. Though, there are slight rhymes in a prose, they are extremely un-noticeable. Further differences between the two literary terms can be read in the table below. It is defined as the form of art in which language is used for its evocative and aesthetic qualities in addition to its apparent meaning. It is defined as the most general form of written language that is not used for formal patterns of a verse. It originates from the Latin word ‘poeta’ that means ‘poet’. The word ‘prose’ comes the Latin term which mean ‘straight forward’. It has the primary goal of selling the language itself as music. It has the primary goal of sharing information. It is best words in the best order. It is words in their best order. Lines are considered to be basic units of poetry. Sentences are considered to be basic units of prose. It is a lyrical form of writing. It has structure, format and rhyming in the sentences. It is usually divided into lines or phrases. It is more expressive and attractive. It serves to excite the readers. It is the typical form of writing. It has no structure, format and rhyming in the sentences. It is not usually divided into sentences. It is simple and common. It is used in writing songs and poems. It is used in different articles, stories and letters, etc. I think the primary goal definitions got switched. May want to change. Hi Michelle, yes you are right. Thank you for pointing that out. It has been fixed now.